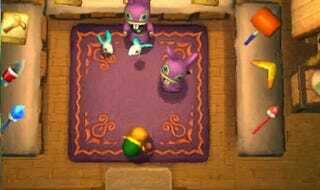 It's been eight months since The Legend of Zelda: A Link Between Worlds came out for 3DS, and already, speedrunners have pretty much hacked it apart. Here's a new World Record run, set by speedrunner Anwonu. He beats the game in an hour and 31 minutes—and that's with a few mistakes that could've shaved off even more time. For context, this is a game that typically takes ~10 hours to finish. And some of the tricks Anwonu uses—like that dungeon-skipping bomb jump in Turtle Rock—are extremely difficult to pull off. It's really amazing just how good some of these Zelda speedrunners are. Summer Games Done Quick is over, but the crazy speedruns and insane moves will live on forever.